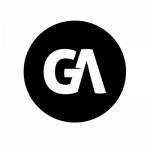 According to multiple reports, GameAnalytics, a Copenhagen, Denmark-based provider of a cloud game analytics platform, raised $2.5m in funding. Backers included Sunstone Capital, CrunchFund, and a group of angel investors including Jimmy Maymann, Tommy Ahlers, René Rechmann, and Anil Hansjee. Led by Morten Wulff, CEO, Christian Thurau, CTO, and Matthias F. Hansen, CPO, GameAnalytics provides developers with a SaaS-based game analytics solution to have insight into player behavior, retention and conversion rates, and take a data-driven approach to development and monetization. The solution works across all platforms and on any device. The company ii hiring (read here).